This book, the first in a series that focuses on treaty implementation for sustainable development, examines key legal aspects of implementing the Cartagena Protocol on Biosafety to the UN Convention on Biological Diversity (CBD) at national and international levels. 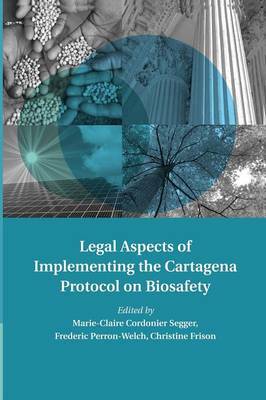 The volume provides a serious contribution to the current legal and political academic debates on biosafety by discussing key issues under the Cartagena Protocol on Biosafety that affect the further design of national and international law on biosafety, and analyzing progress in the development of domestic regulatory regimes for biosafety. In the year of the fifth UN Meeting of the Parties to the Cartagena Protocol on Biosafety, at the signature of a new Nagoya-Kuala Lumpur Protocol on Liability and Redress, this timely book examines developments in biosafety law and policy.